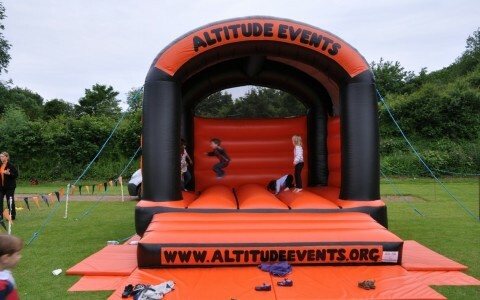 Due to popular demand from our Family Funday organisers, Altitude Events have a brilliant soft play zone available for hire. The Soft Play Zone is the perfect rental activity for Family Fundays, Private Parties, Council Events, Charity Events and just about anything else where something fun is needed for the little ones! The Soft Play package includes an inflatable surround, a ball pit, mini slide, the magical floaty balls and 20 foam shapes to play with. The Soft Play Zone will be overseen by an operator (CRB/DBS checked and 1st aid trained) and be covered under our £10 million PLI policy with risk assessments. The maximum height for children to use the Soft Play is 1m and it is suitable for up to 8 children to use at a time. As with all of our Inflatables the Soft Play Zone has an annual safety certificate and the electrical items are PAT tested. The Soft Play Zone is available for hire to events and venues in East Sussex, West Sussex, Surrey, Kent, Hampshire, Berkshire, Essex, London and Buckinghamshire. The Soft Play unit requires 8m x 9m of flat grass or indoor space. If it is booked for an outdoor event the Soft Play unit needs to be kept dry so it will need to go undercover if the weather forecast is for rain. The Soft Play Zone unit will require a mains power supply for the blower or we can provide a generator for an additional fee. Please note that we do not allow face painted children to use the Soft Play. As the Soft Play Zone is always supplied with an operator, we do not offer overnight rentals. Outdoor bookings only available between mid-April and mid-October inclusive. For outdoor bookings, we require a flat area of short cut grass and cannot operate on hard standing or gravel. Must be set up undercover if it's likely to be wet. If you can’t see the answer to your Soft Play Zone Hire question(s) below, please do not hesitate to contact us on mail@altitudeevents.org or on 0330 133 0900 / 07832 227 571. How many people can play in the Soft Play? The Soft Play Zone can take up to eight children at a time. Can anyone use the Soft Play? Players must be under one meter tall, the Soft Play is for the littler ones amongst us. Can the Soft Play operate in bad weather? The Soft Play cannot be used in wet weather as the inflatable becomes too slippery to operate it safely. As with all Inflatables we need to stop operating if wind speed exceeds 24mph. Can the Soft Play be used outside? Yes it can but it will need a relatively flat area of grass. As with all Inflatables it cannot be used on hard standing for H&S reasons as we cannot secure it to the ground properly. The Soft Play requires an area of 9m x 8m. The inflatable rolled up is 1.5m high and 1m round so suitable access is required for that from where we can unload the van. We only operate Inflatables outside between April and the middle of October as ground and weather conditions are not usually suitable for them over the Winter months. Can the Soft Play be used indoors? The Soft Play is suitable for Indoor events and requires 9m x 8m of space. Suitable access is required as the inflatable rolled up is 1.5m high so any doorways or corridors must allow for this and we need to know in advance if there are any steps in our set up route. Does the Soft Play require a power supply? Do I need to supply anything or does the Soft Play come with everything it needs? 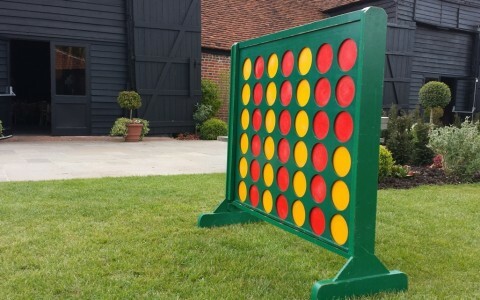 Other than a patch of ground to set up on, we supply everything required to run the game, including the inflatable, ball pit balls, soft shapes, ancillary equipment, bunting and operator. How long does the Soft Play take to set up? Does the Soft Play come with someone to run the activity? Yes, our staff (CRB/DBS checked and 1st aid trained) will remain with the Inflatable throughout your event. You are responsible for your child in the Soft Play Zone. How safe is the Soft Play? How much does it cost to hire the Soft Play? We will tailor make each Soft Play hire quote to the specifics of an enquiry. 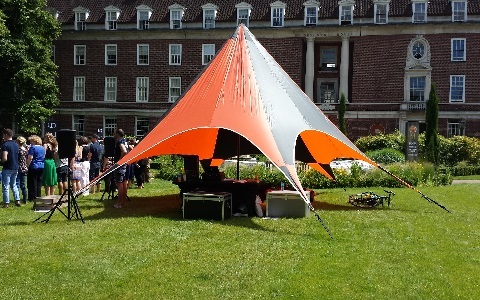 The Inflatable hire cost is dependent on factors such as your location, length of hire, date of hire and whether or not any other pieces of equipment are being hired for the same event. Although we are based in the South East, we will travel anywhere to do an event. However, if it is very far from our base, the price will reflect this. Primarily our Soft Play Zone attends events held in East Sussex, West Sussex, Surrey, Kent, Essex, Berkshire, Hampshire, Hertfordshire, Buckinghamshire and London. Please contact us for further information if this is something that you would be interested in. I just wanted to thank you for all your help pre-event and also the amazing support from staff onsite. We had great feedback from the client over the 2 days! The staff and service on Sunday were amazing as always – Joe goes without saying, but Dale needs a special mention too. Thanks Ben as always, a pleasure to work with you all. It was great as always, you really are the best operators I have the pleasure of working with. Yesterday was a great success and Joe and the boys were top notch as always so please thank them for us. I think the soft play is awesome by the way!